You are here: Home » Blog » Uncategorized » Ladies Day Out!! 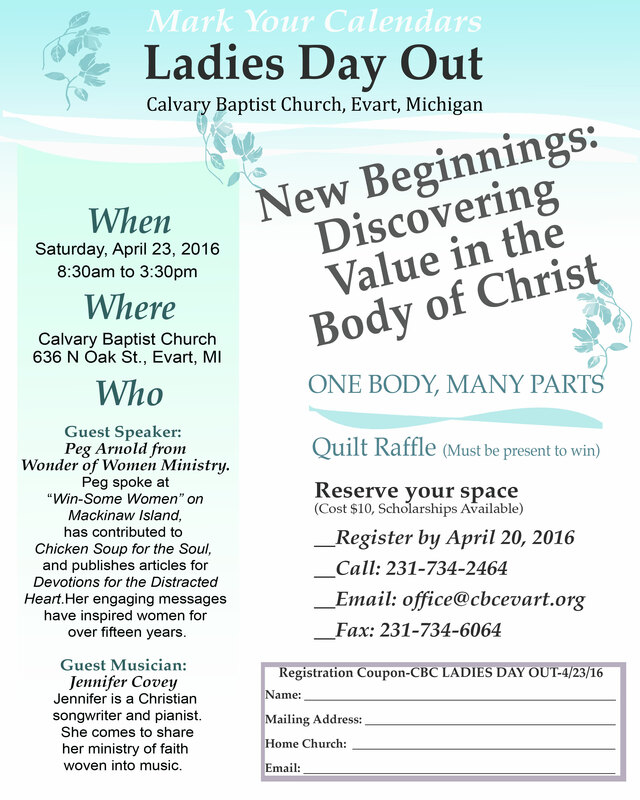 All ladies in the Evart area are invited to a great day of learning and fun…with other Christian women in the community. It will be Saturday April 23, 2016 here at Calvary! The cost is only $10 for the day…and that includes lunch! You can register by calling Calvary Baptist Church at 231-734-2464, emailing office@cbcevart.org …or ordering online here. Sorry, but NO nursery service will be provided.